I'm finally getting an old PC! Hello there everyone and welcome to another annoucement. Get ready because... I'm finally getting an old PC to play my old PC games. You'll be seeing this Feng Shui buster called the Soul Illusion X-32 in action very soon. Nah, I'm just kidding, because this computer doesn't have any powers, but it is going to be a pretty powerful PC for playing old PC games that cannot run on modern systems and yes, It's going to be nicknamed the Soul Illusion X-32. It is unkown what operating system this computer runs on let alone what kind of processor this computer has, but it could possibly run Windows 95 or Windows 98. 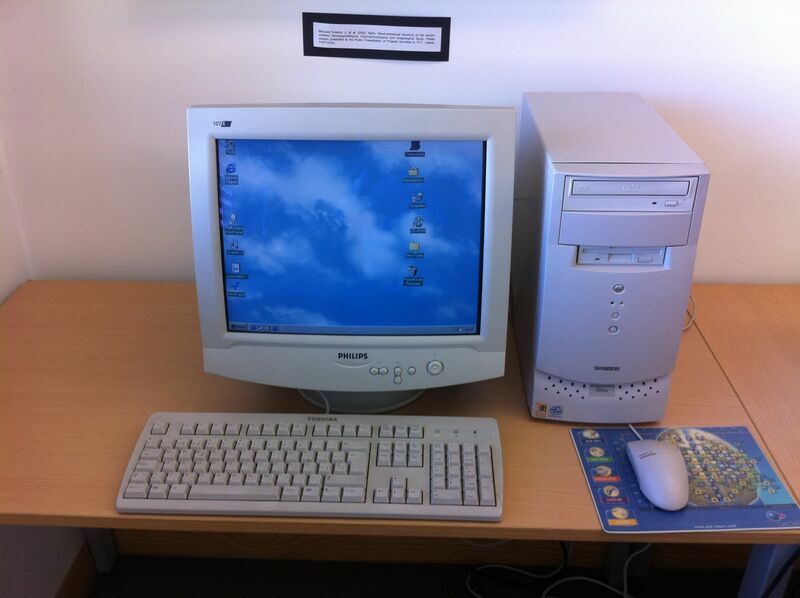 Note: The PC that I'll be getting may not look like the PC in the picture, but I just wanted to add it just to give you an idea of what an old Windows 98 PC looks like.